As short-haul domestic business travel is rapidly changing, you will need to adapt your domestic travel programme to fit with these changes. 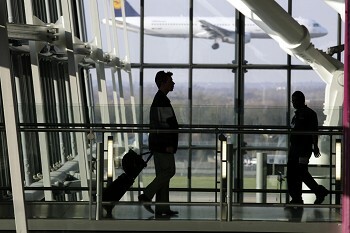 With short-haul rail and air services set to improve throughout the UK in 2013, many business travellers are in line to benefit from these improved services. So with these changes, how do you create a cost- effective domestic travel programme? Communication is key when planning your domestic travel policy. Communicating with airlines and rail companies could save money on the cost of corporate travel. An airline may be willing to offer a lower price if they believe that you are swapping travelling by rail with their air travel services. This can work both ways as rail companies may also be willing to negotiate on price if they believe you are choosing their service in replace for another. What this means is that your company could make significant savings on business travel. When looking to create a cost-effective domestic travel programme, you must consider the hidden costs that are not initially apparent, but can have a significant effect on your total spend. Such hidden costs include ancillary charges. When calculating the total cost, add items such as airport transfers or parking charges to give you a more accurate calculation of the overall cost. Departure points can vary in cost; encourage your business travellers to be flexible with their location when finding a departure point. Look for niche airlines that focus on regional airports. Suppliers such as these are increasingly becoming key in servicing business travellers whose journeys do not involve London. Try to return to the same airlines as often as possible. By continuing your service with the same airlines, the higher the discount that they can offer you will be. A recent report by Carlson Waglonlit Travel (CWT) shows that delays and inconvenient departure or arrival times are two of the main causes associated with business travel stress. When planning your short-haul business travel programme, rail could play a part in reducing the travel stress that your employees experience. Rail has an advantage over air as delay times for using the train are generally less severe than they are for air, also departure and arrival times when travelling by rail are more convenient. Further to this, most rail terminals are located in city centres where the majority of offices are located, creating convenience for your business travellers and further reducing stress. It is well understood that replacing air travel with rail can also help you meet you carbon reduction targets for short-haul travel programme. Many carbon management companies such as Carbon Footprint recognise that travel is an integral element for business to reduce their impact on the environment. A report by CWT has shown that certain journeys in the UK are more sustainable when travelling by rail than by air.